It’s here! 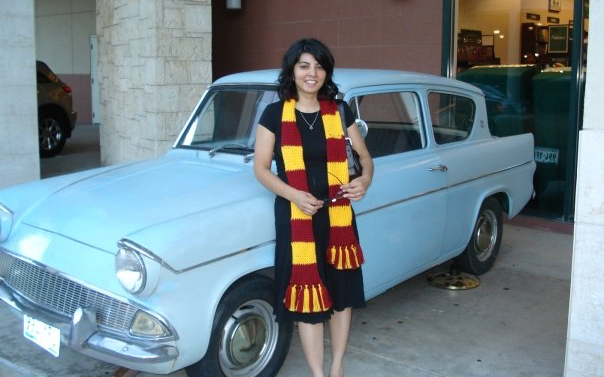 The Barnes & Noble TEEN BOOK Festival is this weekend! I am super-thrilled to be taking part in the Friday kick-off. 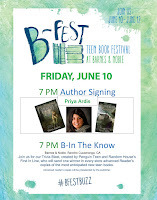 If you are in the area, come JOIN me at the B&N Rancho Cucamonga on Friday, June 10th at 7 PM. There will be trivia, games, book prizes, and more from B&N. 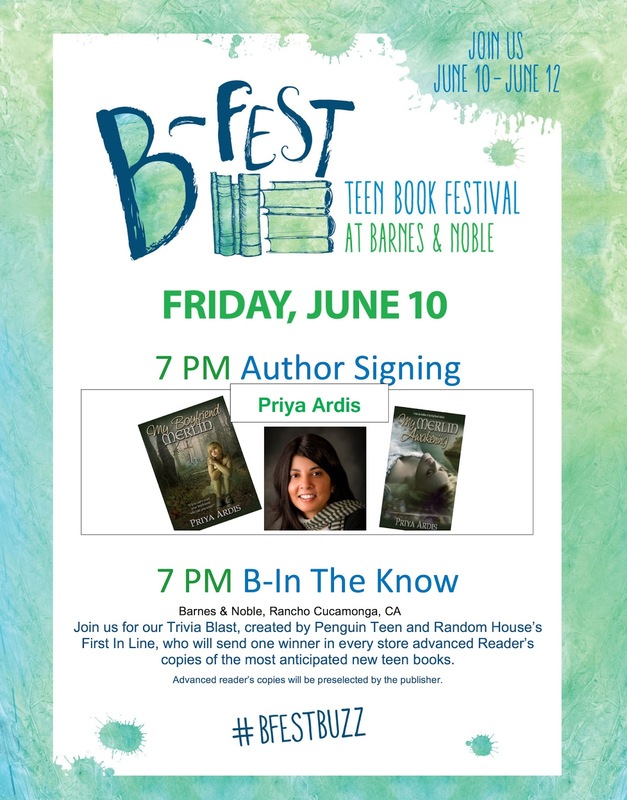 The festival continues on Saturday, June 11, and Sunday, June 12 with authors at different Barnes & Noble locations throughout the country! So even if you can’t make it here, get to your local store and check out who’s there! 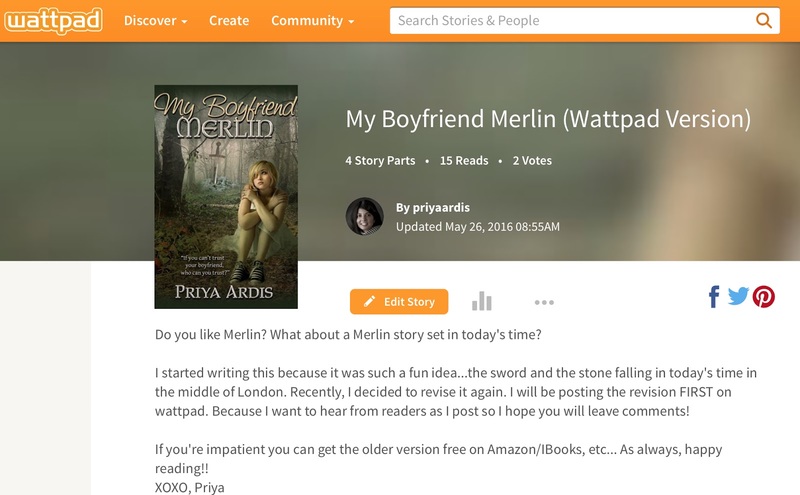 Recently I kicked off an update of MY BOYFRIEND MERLIN on Wattpad. I’ve been wanting to detail out the scenes in BOOK 1 for some time and I'm putting my first pass (unedited) on Wattpad. If you’re a member, you can comment and leave notes. (“Merlin! Whhhyyy?” is a good note.) If you’re not, you can still read it for free! Check it out. The first page is pasted below & completely REDONE! ALSO look for more announcements in the fall as I wrap up some new work! I’d heard about such life changing events, but like anyone, I didn’t really believe it would happen to me. I was sitting in school when the story broke. A text message made my phone vibrate in my pocket. Making sure the teacher’s back was turned, I snuck out the phone. RYAN, WE NEED TO TALK. My name is actually Arriane Morganne Brittany DuLac which is why I went by Ryan instead. The phone blinked with a number I recognized, even though I’d deleted the name from my contact list. Matt. I felt his eyes boring into the back of my head. I slinked down in my chair.